We all know that the best place to burn calories is at the gym, the space that you dedicate to keeping yourself fit and healthy. But what about after you leave the gym? What can you do to ensure that you’re getting the most out of your workouts? Here are some routines that you could begin implementing to make sure that your workout sessions are really making the difference. Depending on the reason that you’re hitting the gym, you should look at your diet plan. Eating greasy food will not benefit you in any way, no matter how long you spend at the gym. If you’re looking to build up lots of muscle and strength, then make sure you’re eating a diet that is full of protein as it’s the best thing for building up muscle. If you’re looking to slim down and tone up, go for meals with less calories so that the exercise you’re doing will burn away the fat. One good piece of advice if you’re trying to change your eating habits to match your goals at the gym is to eat little and often. With exercise, you’re boosting your metabolism for a short while, meaning that you will feel hungrier sooner. Eating small and nutritious meals every day will make all of the difference to how you feel after a workout. 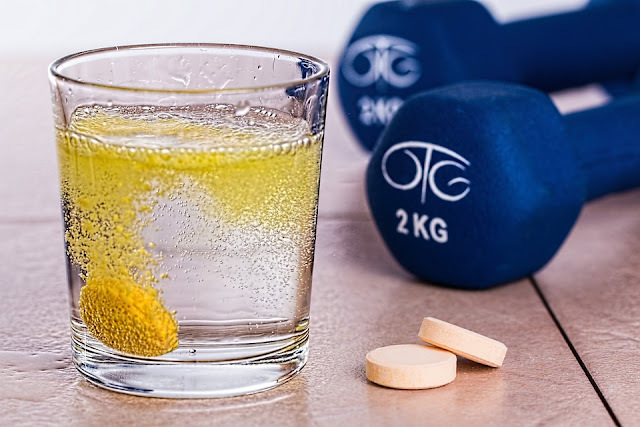 Taking supplements is something else you could be doing to ensure that your body is getting exactly what it needs to make the most of your workout. Whether that be vitamin supplements or anabolics, make sure that it’s the right addition to the goal you’re trying to achieve. There’s no point in pumping yourself full of a certain vitamin if you’re not going to be using it within your workout. Ensuring that you stay hydrated at all times is important to help your body maintain the water it’s lost through exercise. Try to aim for the recommended two litres of water per day. Another useful tip when it comes to water intake, is to look at the best times to drink the water. I mean before, during and after your workout. If you’re not keen on just water, try getting a water filter jug that will improve the taste of your water. Failing that, get an infuser to add fruit to your water for a super nutritious drink. Believe it or not, resting is an important part of making the most of your workout. Your body, mind and muscles need to rest between each visit to the gym. This is because they need time to regenerate before you begin another workout. It’s true that without pain, there is no gain but you do still need to relax. Try to get around 6-8 hours sleep a night, that should be plenty enough for your body to recover. There we have it, ways that you can make your workout more effective outside of the gym. Applying all of these tips to your lifestyle will greatly increase the outcomes of your workouts; therefore getting you to where you want to be, and faster!